"Tolerance" has to be ensured and the democratic system needs to be "stable" in India's endeavour to become the next superpower, Justice T S Thakur, who is taking over as the Chief Justice said. 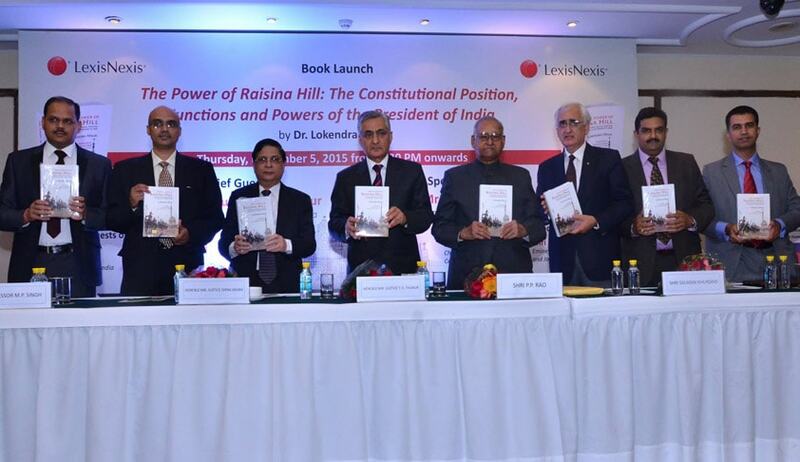 He was speaking at the launch of "The Power of Raisina Hill: The Constitutional Position, Functions and Powers of the President of India”, book by Dr Lokendra Malik. Notably, the book presents a comparative analysis of the powers of the British monarch with the President of India. Justice Thakur said that the maturity demonstrated by successive Presidents and the political class distinguishes India from many other countries "in our neighbourhood". "Political stability is one of the cornerstones for progress in any country. You may call yourself a democracy, a secular country but unless there is political stability there is no progress," he remarked. The event also saw the presence of Justice Dipak Mishra, former Deputy Prime Minister L K Advani and former Union Minister Salman Khurshid, LexisNexis Managing Director Mohan Ramaswamy among others. In his speech, Mr Salman Khurshid emphasized on the need for a "dialogue" among the institutions of the legislature, executive and the judiciary observing that there has been a "paucity" of the same. The Book discusses the constitutional position, powers and functions of the President of India and outlines the historical perspective along with the basic framework of the constitution. It also analyses the actual functioning of all Presidents of India from 1950 to 2014 Includes a separate chapter covering all Supreme Court Judgments related to the role of President. Dr. Lokendra Malik is practicing as an Advocate in the Supreme Court of India with former Union Law Minister Salman Khurshid. He did his Ph.D. in Indian Constitutional Law from Kurukshetra University, Kurukshetra and also earned the LL.D. (Post-doctoral) degree from the National Law School of India University, Bangalore in the area of Indian Constitutional Law on Constitutional Position of the President of India under the worthy supervision of Vice-Chancellor Professor R. Venkata Rao. Before joining law practice, Dr. Malik has also been a professor of law at the Indian Institute of Public Administration, New Delhi and taught senior civil servants. Public law is his main area of interest in terms of litigation, academic writings and research. He has been a member of Internship Committee of the Lok Sabha and is also a member of some other prominent academic bodies such as Indian Law Institute and Indian Institute of Public Administration.